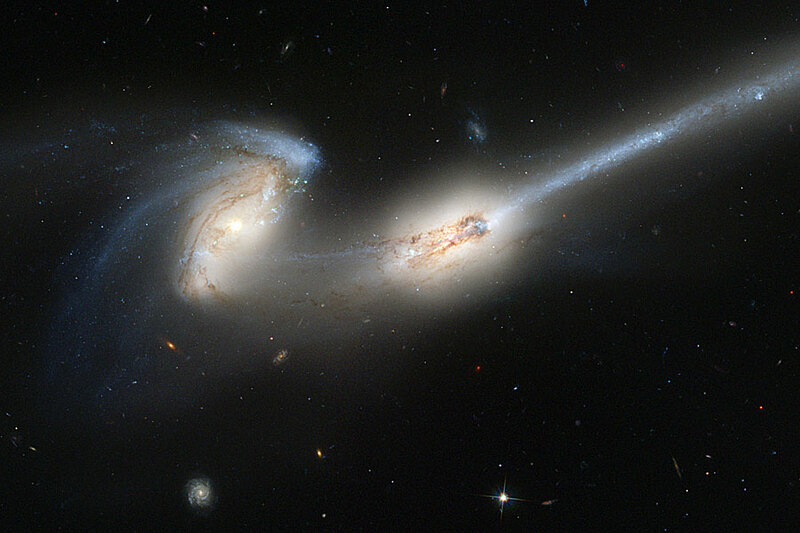 Explanation: These two mighty galaxies are pulling each other apart. 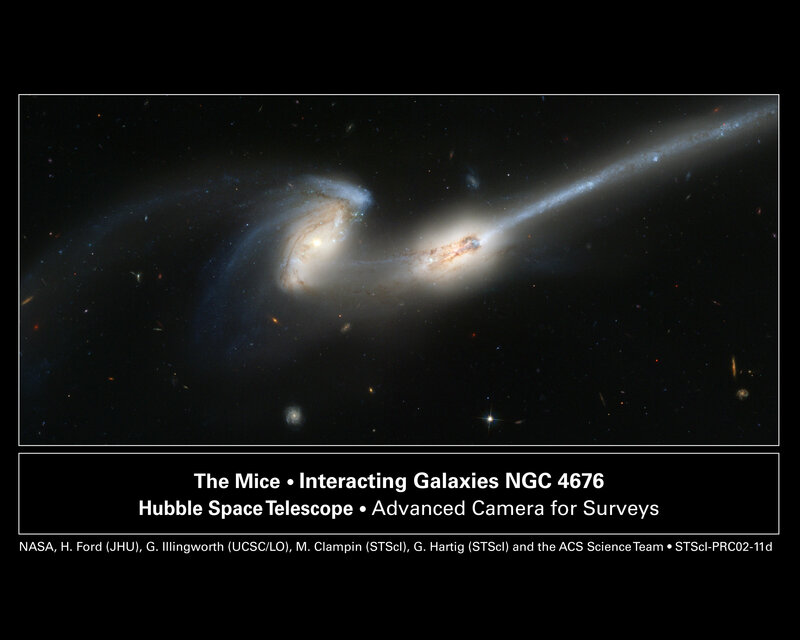 Known as " The Mice" because they have such long tails, each spiral galaxy has likely already passed through the other. They will probably collide again and again until they coalesce. The long tails are created by the relative difference between gravitational pulls on the near and far parts of each galaxy. Because the distances are so large, the cosmic interaction takes place in slow motion -- over hundreds of millions of years. NGC 4676 lies about 300 million light-years away toward the constellation of Bernice's Hair (Coma Berenices) and are likely members of the Coma Cluster of Galaxies. The above picture was taken with the Hubble Space Telescope's Advanced Camera for Surveys which is more sensitive and images a larger field than previous Hubble cameras. The camera's increased sensitivity has imaged, serendipitously, galaxies far in the distance scattered about the frame.